I usually consider myself a lucky person, having home, hearth and health all in good supply. But, there is no question that the benefits of being married to someone who knits (among the other countless attributes that Virginia possesses) is something I am always grateful for. 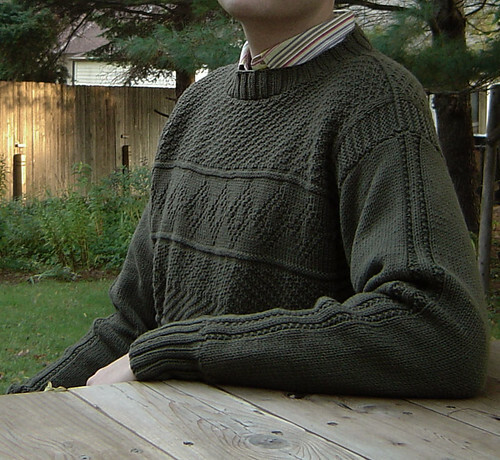 Recently, she finished knitting and seaming the Diamond Gansey (by Martin Storey, from Rowan’s Knitting for Him). 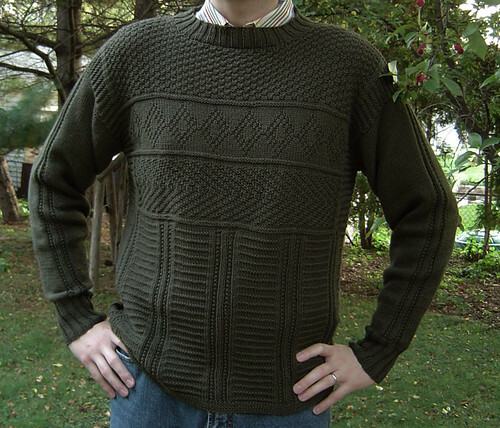 The yarn is Rowan’s Wool Cotton, which provides the perfect weight and drape for a garment like this. 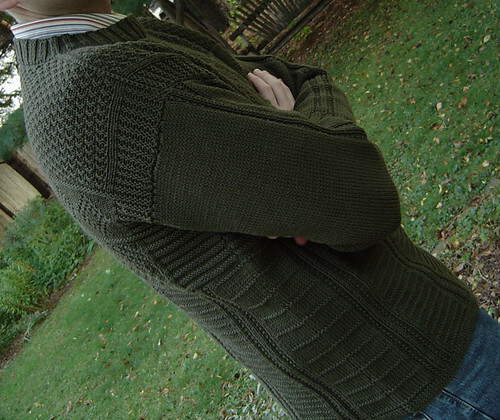 It also (as shown by the photos) does a very nice job of showing the stitch pattern detail. 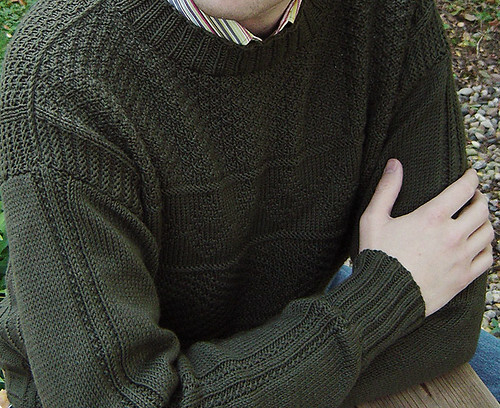 I think I’ve mentioned before that I have unusually long arms, so finding a sweater that has long enough sleeves without being so huge around the body is difficult. Obviously, I’ve stopped worrying about it since most sweaters in this household are now custom made. I’m allowed to boast a little since I didn’t do the work — I think it’s perfect. Looks good on you. My DH wants one now. Nice work, Virginia! Looks good on you, Dan. lovely, v! i especially love the sleeves. d—you’re a lucky guy! It looks pretty perfect to me too! Boast away!